Since 2010, our passions for our dogs have led us down the road of training for and competing in dog sport. Our sport of passion is Schutzhund, now officially known as IPO. We’ve been fortunate and blessed over the past years to have had the opportunity to train/mentor under Debra Zappia of Proformance K9, www.proformancek9.com and currently under Beth Bradley of www.dog-training.biz who is coming here monthly on an on-going basis!! Both of these women have stood on many podiums of high level Championship competitions of National and International levels! Both have earned spots representing the U.S. on the World Team many times. In 2015, Deb Zappia made history in this international, highly competitive sport. She and her dog Iron Von Den Wolfen (“Eros”) became the WUSV champions! She is the FIRST American to ever win the WUSV and she is only the second woman to ever win the WUSV!! Beth Bradley also has made history with her most recent dog Fyte Von Der Staatsmacht! Among other achievements, Fyte earned a spot on the United States Schutzhund World Team in 2015 and the #1 spot on the team in 2016! He was the youngest dog ever to become a part of this prestigious team and the youngest dog ever from the United States to compete on foreign soil! In addition, he was the National Champion at the 2016 USCA IPO Nationals! In addition to the high level titles earned in Schutzhund/IPO and AKC Obedience, Beth has trained many dogs for television and movies! * Amazing feats from these two amazing women! 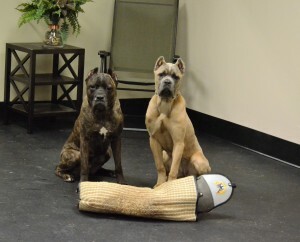 Both also have strong knowledge of AKC Obedience and general dog behavior. Among SO many other things, they have both taught us lessons such as to pay attention to the details, set our bar high, always be fair to the dog, and that the handler MUST have a relationship with the dog where the dog WANTS to be with the handler as it will always show in the work. We try to bring these lessons to our clients as well. *Please click on our seminar link for dates Beth Bradley will be here! Also watch our Howard County Working Dog Club and PUPS Facebook pages under events! Whether you are starting foundation obedience training with a pup, working toward a BH or going for your I, II, or III, polishing any of your training or just need help troubleshooting a problem and want someone to really pay attention to the details for you, need help with any of your existing training, or just want to get a feel for the sport, Karen can help get you where you need to go! Having worked with Deb Zappia and Beth Bradley while training and competing her own GSDs as well as working with her own group weekly, Karen has gathered a lot of tools for her training toolbox, which has given her a great foundation to now help others. She also draws from her 20+ years of pet dog training where her focus is helping modify behaviors. Karen and Beth have formed a Club under USCA (Howard County Working Dog Club), which allows them to hold competitions and other sanctioned events. 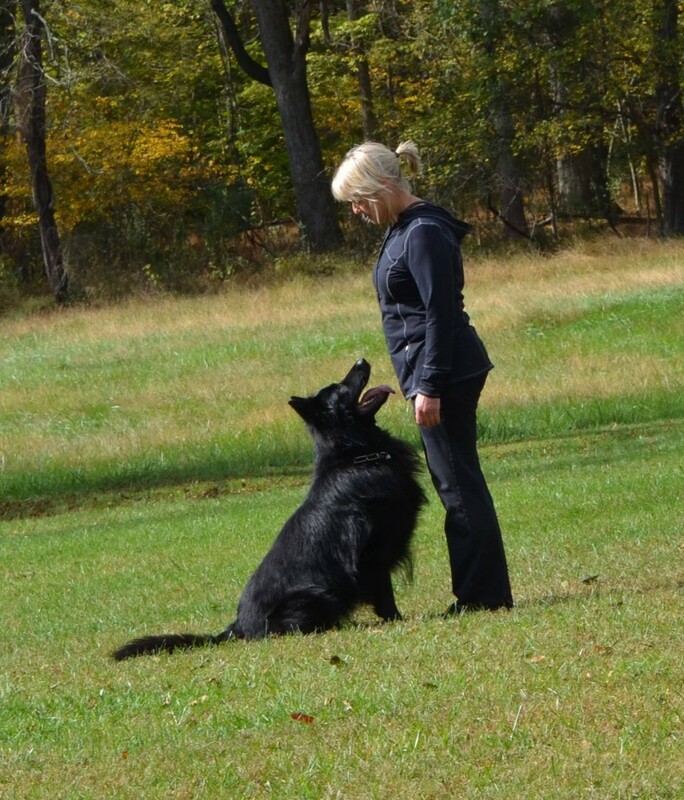 Cost for private IPO/Schutzhund Obedience – $65.00/session (price may be discounted if coming weekly). Each session is approximately 1 hour and consists of two rounds. To schedule you may phone us at 443-545-9598 or email us at pupsmd@aol.com. *Penalties for late cancellation will apply! Board and Train is available for IPO/Schutzhund Training with Karen Decker – Inquire individually as price is somewhat determined by the client’s individual training needs and goals. Weather permitting – PUPS can start your pup or older dog from foundation up or help troubleshoot problems you may be having. Cost for Schutzhund/IPO tracking – private – $65.00 per session – no time constraint. If with group, the price is reduced. Please phone Karen at 443-545-9598 or email us at pupsmd@aol.com. *Penalties for late cancellation will apply! 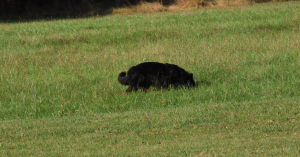 Cost for Group IPO/Schutzhund Tracking – To join our Group IPO, you must join our Howard County Working Dog Club – Phone us- 443-545-9598 or email us at pupsmd@aol.com. In paying attention to details, we include many of the obedience pieces utilized in the protection phase within the obedience training without the dog even knowing it has a thing to do with the protection phase. As far as the bite work of the protection phase is concerned, we bring in Ryan White, a National level certified teaching helper on a monthly basis and supplement with additional talented helpers. Our IPO clients are included to work with him if they choose. Price varies as it greatly depends on number of dogs, etc.